1. 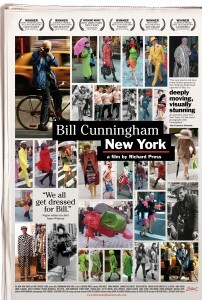 Bill Cunningham New York is a life affirming documentary and profile of 80 year old bicycle riding photographer and chronicler of two New York Times columns, “On The Street’ and “Evening Hours”. This up close and personal look at the artists all consuming reportage of downtown street vogue and high-society fashion is an Oscar worthy film, both in anthropology and art. 2. Silence The Musical. A rough and raunchy unauthorized adaptation of Silence of The Lambs and a Fringe Festival import with top notch musical-comedy talent. This super-intimate Off Broadway crowd pleaser with low ticket prices may not last. I predict a Broadway run. 3. To paraphrase biz management guru, Tom Peters: “A dirty restroom is evidence that someone doesn’t care.” Agreed. So if you’re near Bryant Park and in need of the loo, check out the LOVELIEST public bathrooms in all of NYC. The facilities are spotlessly cared for by friendly park attendants. Daily seasonal flowers are placed near the wash basin. And automatic seat covers wipe up for those who don’t. 4. Along with 25,000 others, I became a member of The Metropolitan Museum of Art, to bypass the insanely long lines at Savage Beauty: Alexander McQueen’s staggeringly popular costume exhibit. I’ve since visited Photography After Dark, Anthony Caro on the Rooftop, and Friday Night Live Music on the Balcony Bar. Plus, the steps at the Met are a destination themselves: a place to meet, eat, talk, and watch people and Fifth Ave. traffic. 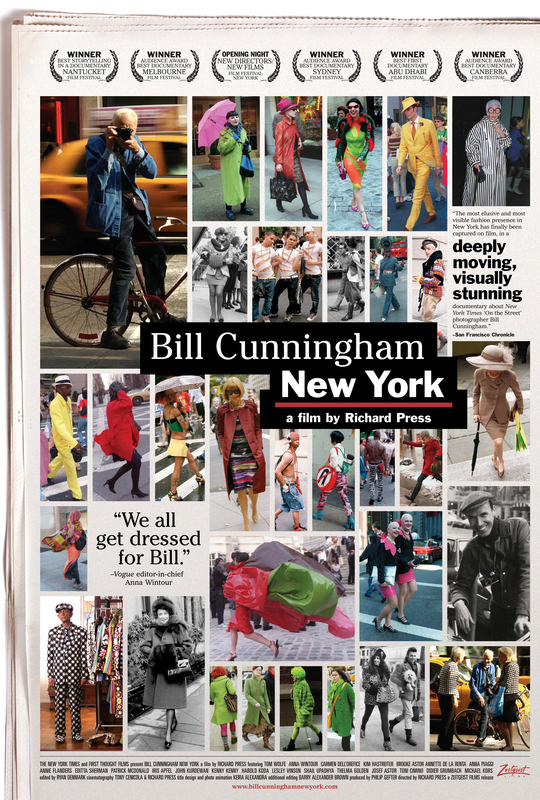 This entry was posted in Essential Dish, Uncategorized and tagged Bill Cunningham NY, Bryant Park, Met Museum, NYC, NYC Fringe Festival, Off The Record, Silence The Musical, Tom Peters. Bookmark the permalink.